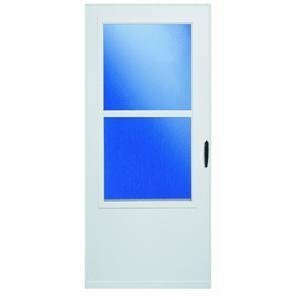 LARSON MFG CO RSC 029831U Storm-Doors 32" x 81"
Heavy-duty storm door with reversible handing. 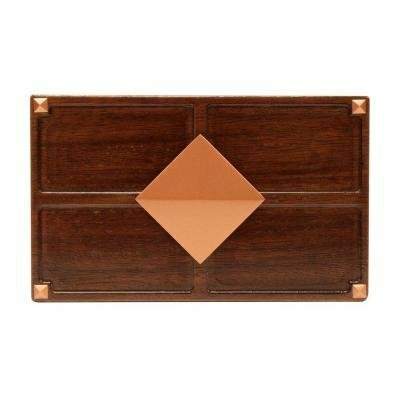 Constructed of 1-inch thick wood core with maintenance-free vinyl surface. Self storing window and screen to allow for bottom ventilation. 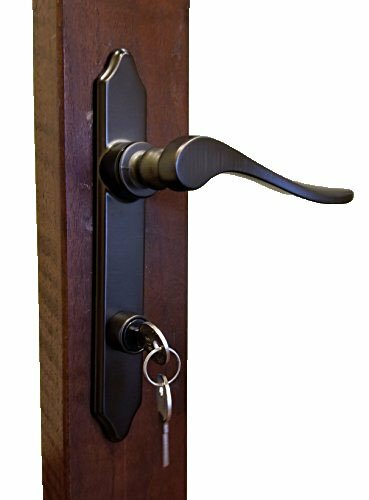 Includes durable weatherstrip, black adjustable speed closer, durable black push-button handle with inside security lock, and color matched expander to conform to uneven sill for a tight fit. 5-year warranty. White. Standard door height 80 inches to 81 inches. 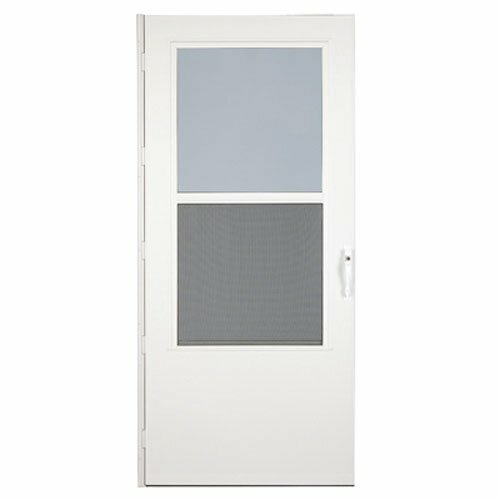 36" x 80" x 1", white, reversible, universal hinge, self storing storm door with screen. 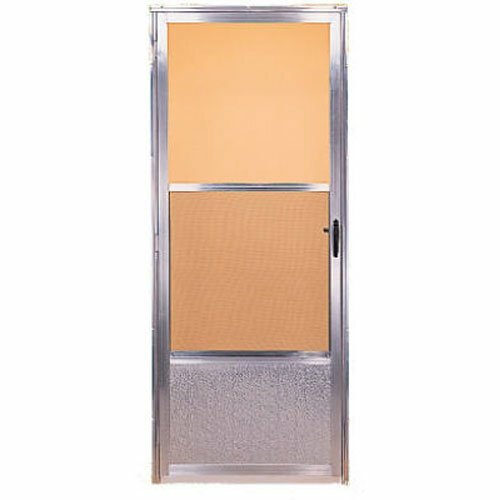 32" x 80" x 1", white, reversible, universal hinge, self storing storm door with screen. 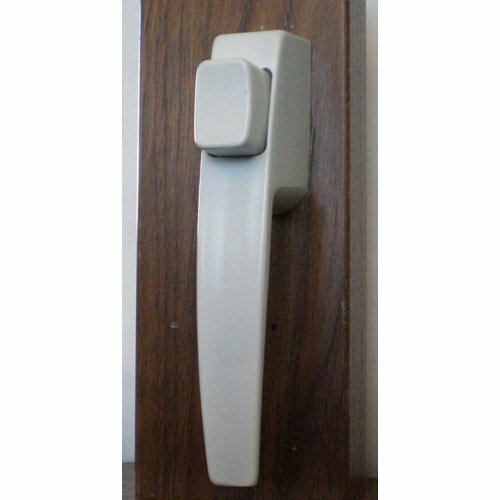 Easy vent selection, 36" x 81", white, full view low e glass storm door, choose from TV #192543, #192544, #192545, #192546 for the door handle set that fits this door. 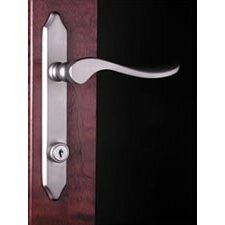 NOT RECOMENDED FOR USE ON EMCO FOREVER DOOR POLYPROPELYN DOOR WITH STORE IN DOOR WINDOW AND SCREEN SYSTEM TRADTIONAL OR CROSSBUCK DESIGN. Brand: International Resources | Manufacturer: International Resources, Inc.
Self-storing window and screen for bottom ventilation. Solid wood core with maintenance free vinyl finish. Durable weather-stripping. Bottom expander conforms to uneven sills. One black adjustable speed closer. Reversible hinge for right or left mounts. 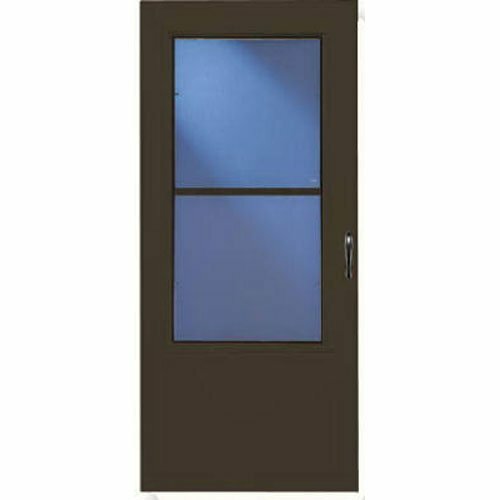 83001, 36" x 81", brown multi-vent solid wood core storm door with Duracell finish for age & weather resistance, magnetic weather stripping seals like a refrigerator, multi-vent or self storing saf-t-glass window & screen combination for ventilation control, color matched Expander conforms to uneven sills, 830-07 features brass tone Expander, reversing for right or left mounts. 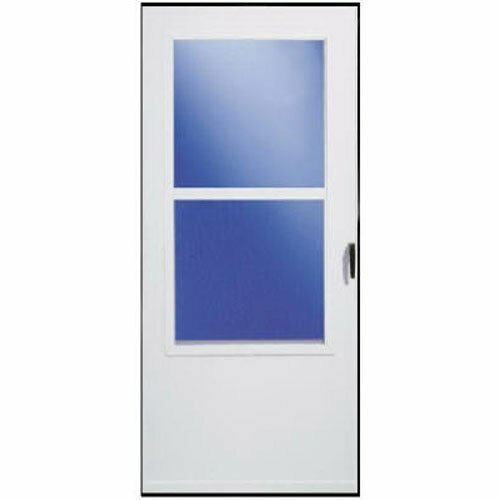 298SS, 30" x 81", white, solid wood core, storm door, with maintenance free vinyl surface, self storing safe-t-glass window & screen system, color matched Expander conforms to uneven sills, black adjustable speed closer, reverse hinge for right or left mounts, durable push button. 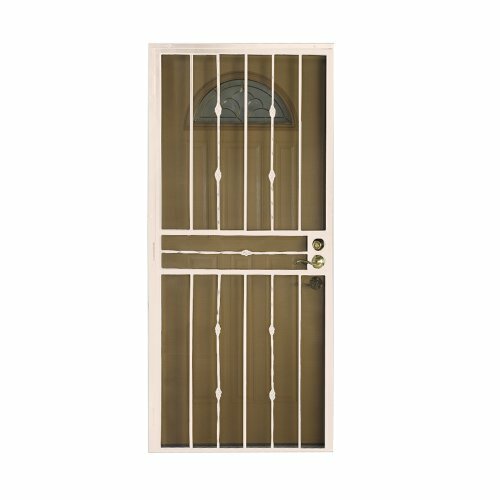 Featuring a solid wood core with maintenance-free vinyl surface, the LARSON storm door is the perfect way to protect your home. 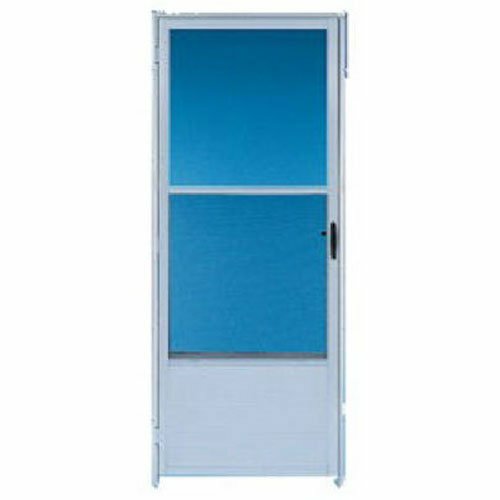 Both stylish and functional, it s equipped with a fully adjustable, self-storing safe-t-glass window and screen system, adjustable speed closer, and durable push button. 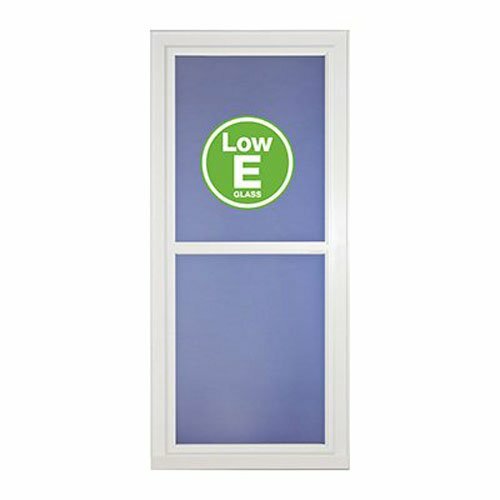 Ideal for DIY installation, the door includes a reverse hinge, which allows for right or left mounts, as well as a color-matched Expander to conform to uneven sills. 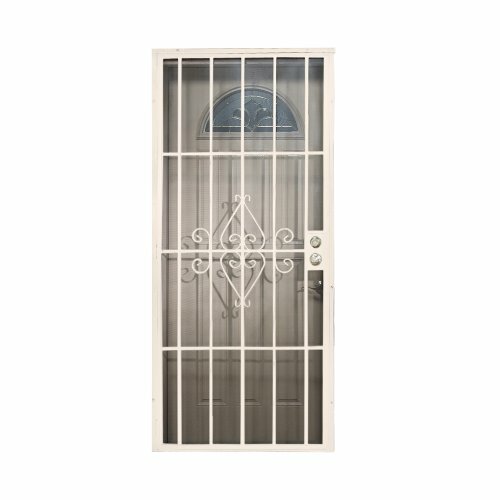 37050, 36", White, Reversa Weartuff Screen Single Vent Storm Door, Tear Resistant Weartuff Screen Is Reversible For Top Or Bottom Ventilation, Durable Strong Hold Handle With Keyed Lock For Added Security, High Traffic 5 Hinge System, Flexguard Closer Protects Door When Over Extended & Allows Door To Open Past 90 Degree, Duratech Surface Over Solid Core, 7 Year Warranty. 37050, white, reversa weartuff screen single vent storm door, tear resistant weartuff screen is reversible for top or bottom ventilation, durable strong hold handle with keyed lock for added security, high traffic 5 hinge system, flexguard closer protects door when over extended & allows door to open past 90 degree, duratech surface over solid core, 7 year warranty. 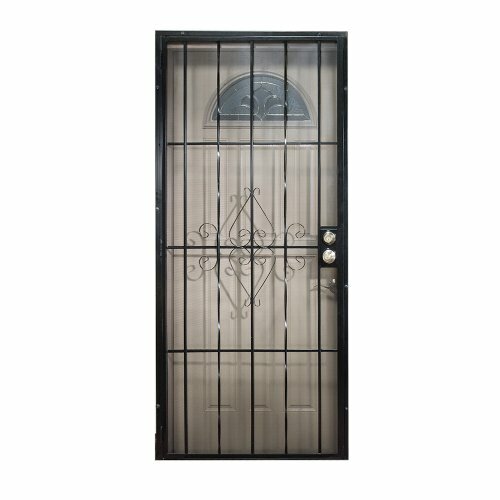 Durable construction and attractive design mean you don't have to sacrifice good looks for security. 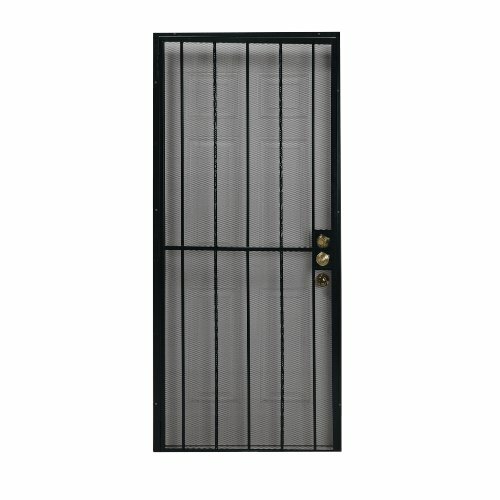 32" x 80" x 1", reversible, universal hinge, mill finish, self storing storm door with screen.